Bulgarian author Miroslav Penkov has won the £15,000 BBC International Short Story Award for his story ‘East of the West’. The announcement was made live on Radio 4’s Front Row from a ceremony at the Free Word Centre in London. South African Henrietta Rose-Innes was the runner-up, winning £2,500 for her story ‘Sanctuary’. Penkov emerged victorious from a strong global shortlist that included stories from Man Booker-shortlisted Deborah Levy as well as previous winner Julian Gough and M J Hyland, who was shortlisted in 2011. BBC Radio 4 broadcaster Clive Anderson chaired the judging panel this year, joined by novelists Anjali Joseph and Ross Raisin, novelist and Emeritus Professor of Creative Writing at the University of East Anglia, Michèle Roberts, and Editor of Readings, BBC Radio, Di Speirs. Henrietta Rose-Innes’ story ‘Sanctuary’ is a subtle but powerful account of a nostalgic trip back to a childhood haunt in the South African bush. The narrator’s encounter with another family explores the experience of domestic violence and its consequences. For the first time since it launched in 2006 – and for one year only – the BBC Short Story Award invited authors from across the globe to enter alongside UK practitioners. To reflect the global breadth of the International Award in 2012 the shortlist comprised ten short stories rather than the usual five. The eight other shortlisted authors received £250 each. Ten of the UK’s top actors – including Rory Kinnear and Andrew Scott – read the shortlisted stories, which were broadcast over the last two weeks on BBC Radio 4. Each of the stories are now available as a commercial audiobook download via AudioGo. The BBC Short Story Award is celebrating the Olympic year by going global. For one year only, an Award established to recognise and foster talent within the UK sought to reflect the enormous richness and versatility of the short story internationally and to highlight exceptional talent from around the world. 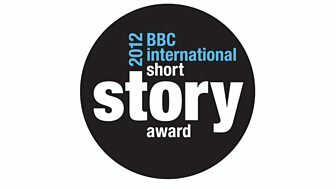 The BBC International Short Story Award 2012 was open to writers writing in English anywhere in the world who have been published in the UK. To reflect the global breadth and ambitions of the 2012 award the shortlist comprises ten short stories rather than the usual five, each of which was broadcast on BBC Radio 4 over two weeks, providing a unique showcase for ten great writers in the run-up to the winner being announced live on Radio 4's Front Row. The Award is now well established as one of the most prestigious for a single short story, with the winning author receiving £15,000. Download each story, together with an interview with the author. Each story is available for download for two weeks following broadcast. The winner and runner-up will be revealed at a special event which will also go out live on Front Row. The shortlisted stories are published by Comma Press in a special anthology and are available to buy from AudioGo. The full judging panel was: Clive Anderson (chair), Anjali Joseph, Ross Raisin, Michèle Roberts and Di Speirs. Radio 2's short story-writing competition for kids returns.